This little girl loves to help me with cooking and baking. 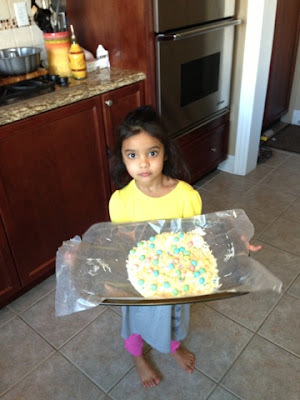 She enjoys pouring, mixing, cracking (eggs), sprinkling and decorating... of course a large quantity of ingredients end up in her mouth-- but that's par for the course, especially with sugar addicts. 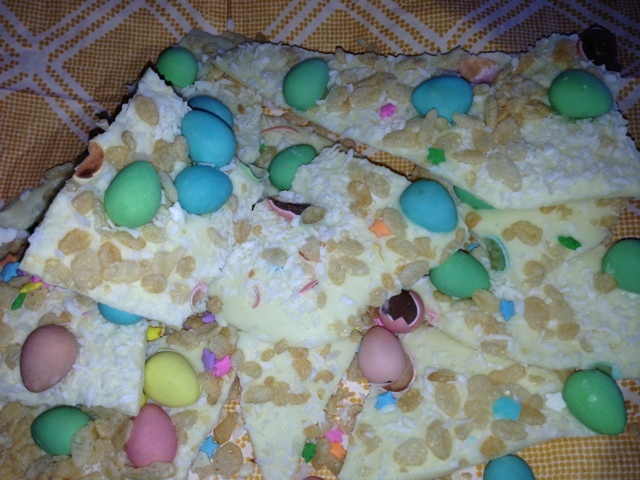 The end result- Easter Bark- It was yum!